As “Game of Thrones” gets frighteningly close to its endgame and the characters get closer to each other geographically, the episodes get more thrilling. Now that there’s more battles, twists, deaths, wildfire explosions, Frey pies, and alliances, the episodes have gotten more intense — with more action than exposition — but there are still some stand-out episodes from the earlier seasons. In preparation for season 7 premiering July 16 (so close, but feels as far as Daenerys has been from Westeros this whole time), we ranked the 15 best episodes just in case you’re one of those people who doesn’t have enough time to re-watch the entire series in less than two weeks. 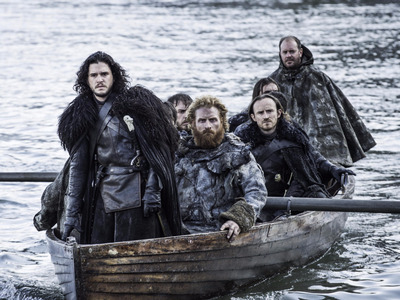 Here are the best episodes of “Game of Thrones,” ranked. This mid-season episode feels more like a finale or a penultimate episode. As a result of Tyrion's deal with Dorne, Myrcella Baratheon is sent away on a boat and everyone watches, and Cersei threatens Tyrion, blaming him for the separation. On the way back to the Red Keep, there's a riot in King's Landing. Also, Tyrion slaps Joffrey. And over in Harrenhal, Arya is serving as Tywin Lannister's cup bearer. Littlefinger shows up in the same room as her, but it's unclear whether or not he recognises her (the scene's intensity rivals that of the Red Wedding and any scene with Ramsay in it). Biggest moment: The Hound wants some chicken and helps Arya get Needle back/cross Polliver's name off her list. 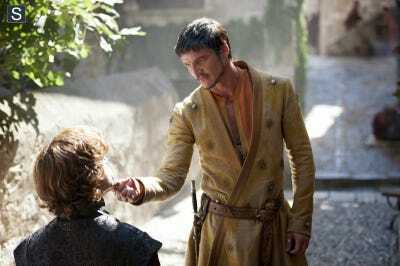 We're introduced to Oberyn Martell, who arrives in King's Landing for Joffrey and Margery's wedding. Joffrey makes fun of Jaime's lack of a hand. Brienne persuades Jaime to keep his word on protecting Arya and Sansa Stark. Jon Snow almost gets executed for his time undercover with the Wildlings (aka: for sleeping with Ygritte), but Maester Aemon releases him. 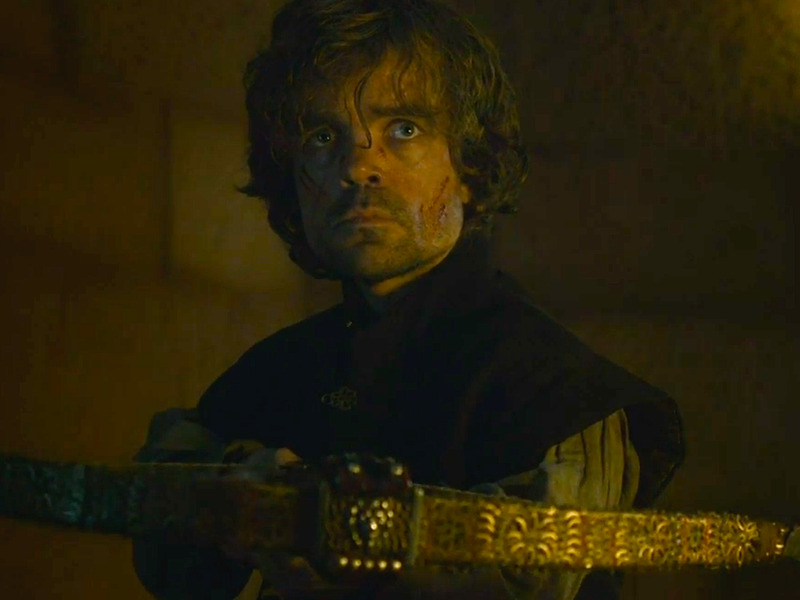 Biggest moment: Tyrion escapes with the help of Jaime and Varys, then kills Shae and his father, Tywin (while he poops in the privy). And that's not all. Brienne takes down The Hound, Arya gets on a boat to Braavos, and Daenerys chains her dragons (except Drogon, who's missing). Stannis Baratheon and his army interrupt Jon Snow's negotiations with Mance Rayder, and Jon burns Ygritte's body north of the Wall. David Benioff and D. B. Weiss were nominated for the 2014 Primetime Emmy Award for Outstanding Writing for a Drama Series for this episode. 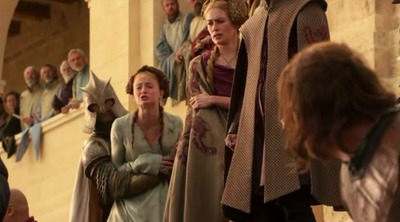 Biggest moment: Joffrey is poisoned to death at his wedding to Margery Tyrell. At the wedding, Cersei confronts Brienne and accuses her of being in love with Jaime. Oberyn also makes sure that Cersei understands that she's not the queen -- she is Queen regent. 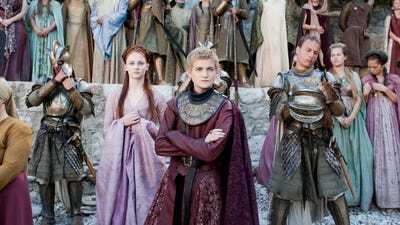 But the Purple Wedding isn't the only big part of the episode. Bran has a vision and discovers where to find the three-eyed raven, and Theon/Reek admits to Ramsay and Roose Bolton that he did not kill Bran and Rickon Stark. George R.R. Martin wrote the episode, and Lena Headey submitted this episode for consideration for the Primetime Emmy Award for Outstanding Supporting Actress in a Drama Series. Biggest moment: Ned Stark loses his head/life. 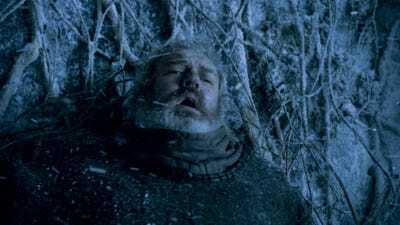 'Baelor' was a defining episode for the series, but Ned's beheading isn't the only reason this episode is a stand-out. This is the episode where Tyrion meets Shae, Lord Commander Mormont gives Jon Snow his Valyrian steel word, Longclaw, and Daenerys seeks help from black magic to save Khal Drogo's life. 'Baelor' was nominated for an Emmy for Outstanding Writing in a Television Series Drama, and Peter Dinklage won Outstanding Performance for an Actor in a Television Drama for his performance in this episode. Biggest moment: King Robert gets wounded by a boar and dies. This episode is jam-packed with events and ends with a betrayal, and it proved that this show wouldn't always be as slow-paced as the first half of the first season. We're introduced to Tywin Lannister, one of the best characters on the show (and in the books). In his first scene, he skins a rather-on-the-nose stag while talking to his son, Jaime. Jon and Sam take their vows at the Night's Watch, and Jorah stops an assassination attempt on Daenerys (that she doesn't know was actually his fault). 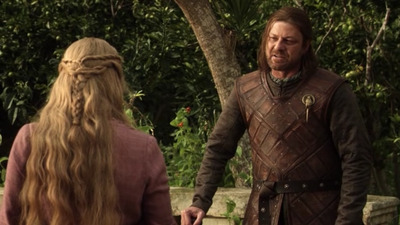 Ned also tells Cersei that he knows her children are Jaime's, not Robert's. Ned makes a deal with Littlefinger and the City Watch to stop Joffrey from taking the throne, but the episode ends with Littlefinger's somewhat expected betrayal. 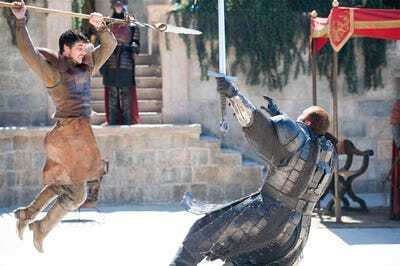 Biggest moment: The Mountain mashes Oberyn Martell's face in like a boiled potato. Tyrion's trial by combat isn't the only main event in 'The Mountain and the Viper.' Ser Barristan Selmy finds out that Jorah got a royal pardon for spying on Daenerys back in season one, so she kicks him out of Meereen. At The Vale, Sansa lies and says that Littlefinger did not push Lysa Arryn through the Moon Door. And up at the The Wall, the Night's Watch prepares for Mance Rayder's army to attack. 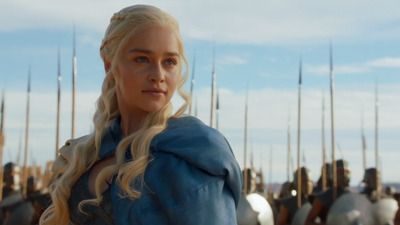 Biggest moment: Daenerys takes the Unsullied and orders them to slay the masters. This episode ends with one of Dany's best moments of the series, one that significantly moved her story along. While it ended on a high note for a beloved character, it also had one of the saddest deaths when Lord Commander Mormont was killed at Castor's Keep. Emilia Clarke and Diana Rigg submitted this episode for consideration for the Primetime Emmy Award for Outstanding Supporting Actress in a Drama Series and Outstanding Guest Actress in a Drama Series, respectedly. This heartbreaking episode has a lot of other powerful scenes, moments, and reveals that make it one of the best of the season, and of the series: Sansa has an intense confrontation with Littlefinger about marrying her off to Ramsay Bolton, Jorah reveals his greyscale to Daenerys, Theon and Yara steal the Iron Fleet, Bran finds out that the Children of the Forest created the Night King. For the 68th Primetime Emmy Awards, director Jack Bender was nominated for Outstanding Directing for a Drama Series for 'The Door'. Biggest moment: Jaime loses his hand. 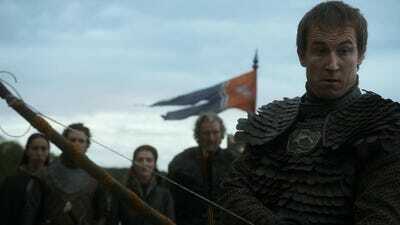 This episode has the best example of the show's ability to make its dark content funny: Edmure Tully attempts to shoot a fiery arrow at his father's corpse on a boat in the river, but can't aim, so the Blackfish steps in with a fitting introduction to his character. At a King's Council meeting, Tyrion awkwardly (and very slowly) moves his squeaky chair to a better position than Cersei's chair. Biggest moment: The White Walkers and wights attack when Jon Snow and co. go up to Hardhome to offer the Wildlings safety south of the Wall. The unexpected battle at the end of this episode was one of the biggest events that didn't happen in the books. Before the epic battle at Hardhome, Jorah brings Tyrion to Daenerys. Daenerys accepts Tyrion's offer of providing her council, and exiles Jorah from Meereen (again). In Winterfell, Theon admits to Sansa that he never killed Bran and Rickon. Peter Dinklage submitted this episode for consideration for Outstanding Supporting Actor Drama for the 67th Emmy Awards. Biggest moment: After an anxiety inducing fight, the Knights of the Vale swoop in to take down the Bolton army at the last minute and Sansa leaves Ramsay to his starving hounds. Pretty much this entire episode was a battle rivaling the epic scale of any episode before it. Before the gruesome, nerve-racking battle that occupies the majority of the episode, Daenerys returns to Meereen riding Drogon and destroys the Sons of the Harpy in a clever plan executed with the help of Tyrion Lannister and Greyworm. The episode also features an epic stare down from Lady Mormont. 'Battle of the Bastards' won the show several Primetime Emmy Awards including Outstanding Directing and Outstanding Writing, and Kit Harington chose it to support his nomination for Outstanding Supporting Actor. 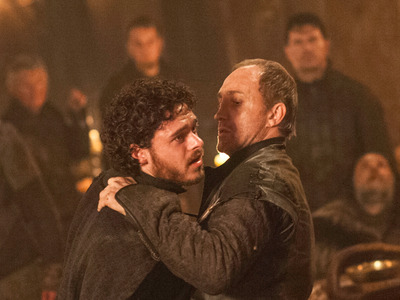 Biggest moment: The Red Wedding (don't make us go into detail, it's too hard to revisit). The bloody Red Wedding isn't the only big event in this episode. Jon reveals his true loyalties to Ygritte and the other Wildlings and Daario and Jorah Mormont help Daenerys maintain control of Yunkai. The build-up in this episode is excruciating for those who read the books, and equally as upsetting for those who were surprised by the deaths of Robb and Catelyn Stark. 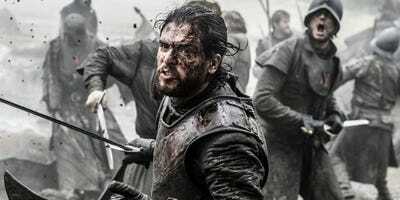 'The Rains of Castamere' was nominated for an Emmy for Outstanding Writing for a Television Series Drama. Biggest moment: Tywin Lannister's forces show up with the Tyrells at the last minute to save King's Landing from Stannis Baratheon. This was the first major battle in 'Game of Thrones' history, and certainly the first filmed on such a grand scale. What makes this episode so good isn't necessarily the battle, though. The choice to keep this episode contained to King's Landing and the characters in it brought some empathy for Cersei Lannister (Lena Heady, giving one of the best performances of the show) and her children, some more insight on Shae, and gave a good feel for what it's like to be in a castle under siege. Peter Dinklage chose this episode for consideration for Outstanding Performance for an Actor in a Television Drama for the 64th Emmy Awards. 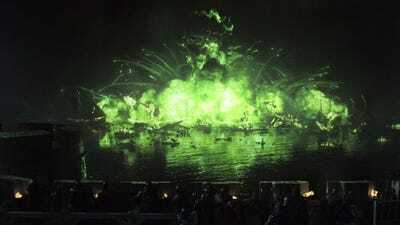 Biggest moment: There are a lot, but probably that time when Cersei blew up half the show with wildfire. Cersei lights wildfire on the Sept of Baelor, killing most of the Tyrell bloodline, the High Septon, Kevan Lannister, and a lot of other people. Tommen then kills himself. 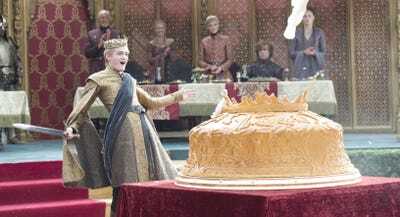 Cersei becomes queen. Jon Snow is declared King of the North. The Sand Snakes meet with Varys and Olenna Tyrell. Daenerys sails for Westeros with a giant fleet of Dothraki and Westerosi allies. Sam and Gilly arrive at the Citadel in Oldtown. It's pretty much confirmed via Bran's vision that Jon Snow is Lyanna Stark's son. 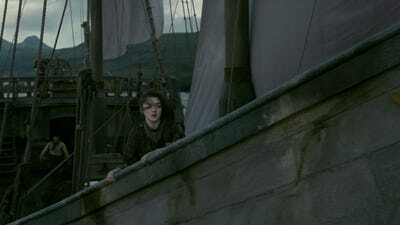 Oh, and one more thing: Arya Stark is back in Westeros. She baked Walder Frey's sons into a pie before she slits his throat. Lena Headey was nominated for Outstanding Supporting Actress in a Drama Series at the 68th Emmy Awards for this episode.